WASHINGTON, DC — American Hellenic Institute (AHI) Graduate Research Fellow Gregory Graves presented “The Cyprus Crisis: A Declassified Dossier,” addressing the significance of the 4,000 documents he discovered relating to the invasion of Cyprus, to members of the Cypriot House of Representatives, in a closed session setting, March 13th. 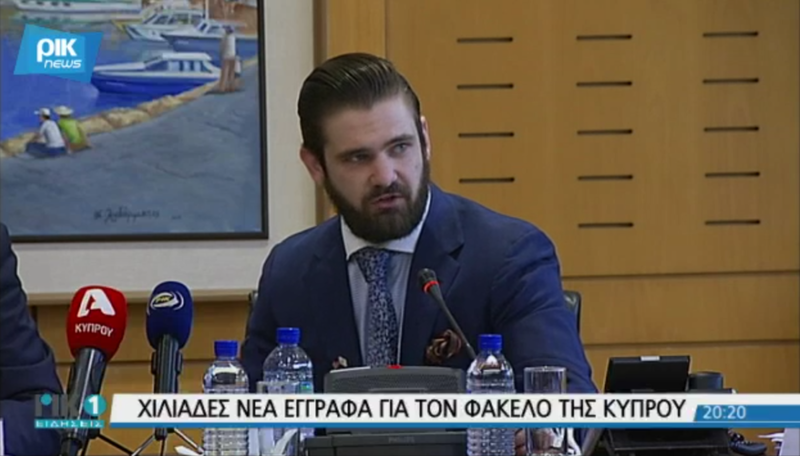 Graves presented his research findings at the invitation of House of Representatives President Demetris Syllouris, who also honored AHI for its work to raise awareness of the declassified dossier. AHI President Nick Larigakis and AHI Legal Counsel Nicholas Karambelas accompanied Graves to Cyprus. 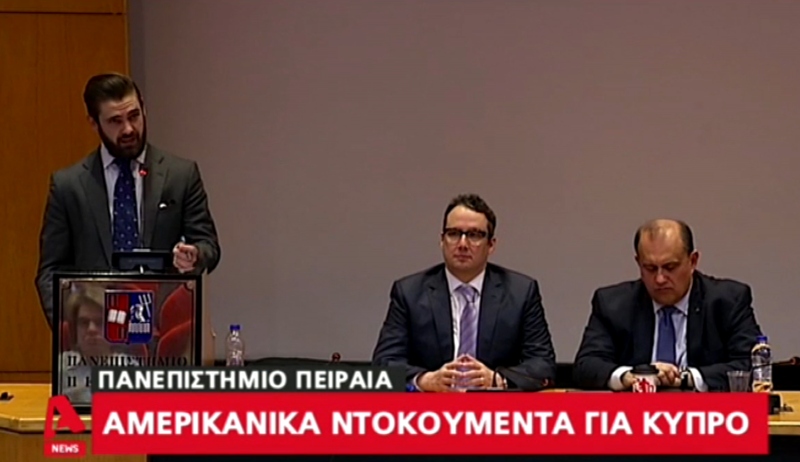 A complete set of the dossier was formally presented to President Syllouris. Mr. Marinos Sizopoulos, MP, former Chair of the House Committee on the Dossier of the Cyprus Problem, coordinated the discussion. Special thanks to Evi Hadjiyanni Director for International Relations Services, Cypriot House of Representatives and Vasilis Kiliaris, International Relations Office, Cypriot House of Representatives for their invaluable assistance in organizing the event. Additionally, Lt. Gen. Ilias A. Leontaris, chief, Cypriot National Guard, hosted the AHI representatives, who provided a presentation about AHI’s work in a closed session. Also, while visiting Cyprus, AHI President Nick Larigakis met with U.S. Ambassador to Cyprus Kathleen Doherty. AHI Graduate Research Fellow Graves made his presentation to an audience at the University of Piraeus, March 14, 2018. Professor Aristotle Tziampiris, chair of the Department of International and European Studies at the University of Piraeus chaired the event and provided an introduction. AHI President Larigakis, provided opening remarks. Special thanks to Evaghoras L. Evaghorou, Lecturer of International Relations at the University of Piraeus for helping to organize and coordinate the event. 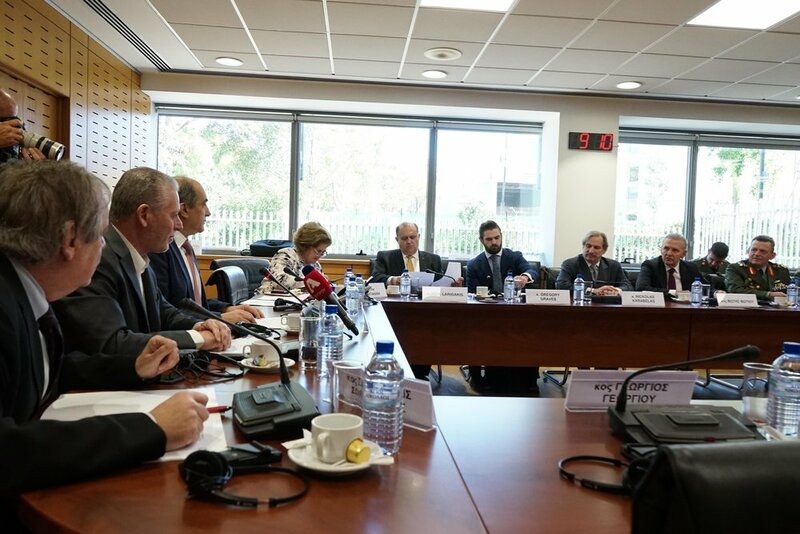 Additionally, Graves made a two-hour, closed session presentation to Greece’s Ministry of Foreign Affairs A2 Department for Cyprus, chaired by Ambassador George Dimitriadis. A two-hour Q&A discussion followed. Also, while visiting Athens, AHI President Larigakis met with U.S. Ambassador to Greece Geoffrey Pyatt. The Hellenic Association of Entrepreneurs (EENE) hosted Larigakis for a luncheon at the Athens Club, attended by close to thirty members of EENE. Presiding over the discussion was their Chairman, Dr. Vassilis G. Apostolopoulos, and their President, Christian Hadjiminas. Graves has assembled thirty-one volumes of research and the dossier includes compilations of day-to-day declassified documents from the U.S. government and other foreign archives. Graves’ research will help historians to develop a comprehensive understanding of the Cyprus crisis by providing a chronological dossier of declassified documents. Refraining from introducing his own biases, Graves instead provided the facts regarding U.S. policy decisions during the crisis, which will allow others to draw their own, more informed conclusions.